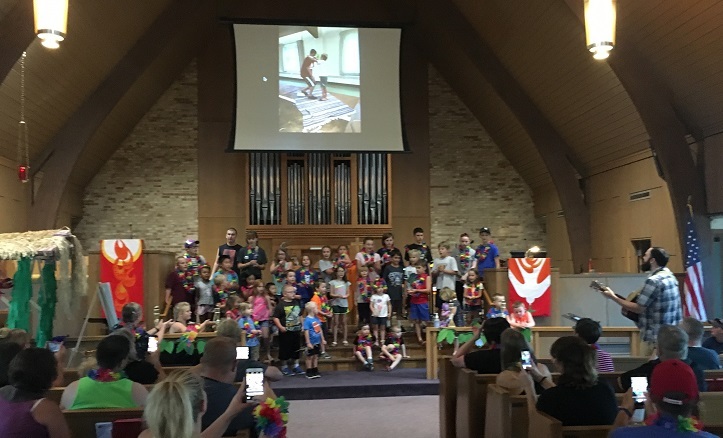 During our 10 AM worship service, any child age 2 through 5th grade is invited to experience Children’s Church / Sunday School. While parents are in worship, children are invited to our education wing for activities geared just for them. We believe communion is for children of all ages! And so they always return to worship in time for communion near the end of the service. Of course, we welcome children to stay in worship with their families if you prefer. Wriggly babies and flag-waving youngsters are always welcome! Children gather on Wednesday nights starting the first week of October for dinner at 5:45 PM and a time of sharing, learning, arts & crafts, singing and music until 7:30 PM. Questions? Contact the Church Office (info@hanscomparkchurch.org) to get connected with Christian Education Co-Chairs: Cindy Gasper, Diana Styles & Lorraine Henry. Middle and High School students meet on Wednesdays during the school year with youth group leaders Angie and Emily for Dish & Dinner at 5:45pm. There is great discussion around faith based topics – accompanied with some good food. Following fellowship, the youth are invited to further their musical gifts with the worship choir or band from 6:30-7:30. No matter a youth’s musical abilities, HPUMC Music Director Jannene will find them a place where they feel comfortable utilizing their talents. 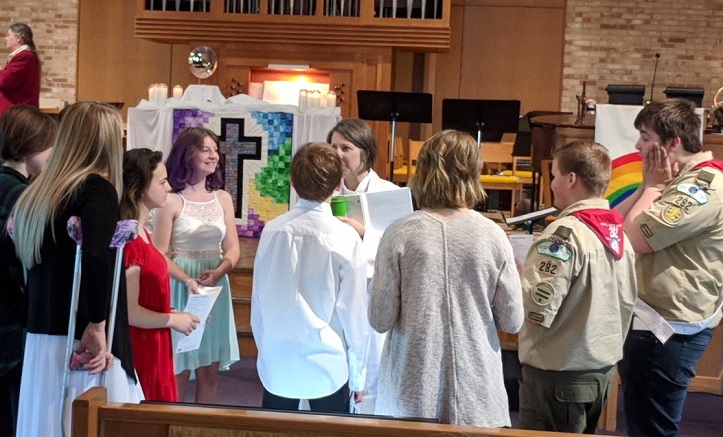 The youth group also gathers for special events during the year like social activities, fundraisers, and mission projects (such as service at Camp Fontanelle or the bi-yearly mission trip). All are welcome to share life and grow in faith together! If you have questions about youth group or would like your family to be added to the youth group email chain, please let us know at info@hanscomparkchurch.org.